A blog about hip-hop, rap music, its trends, and an overall thought about the music an culture, without indulging in gossip. A real set of opinions and discussions, not based on the popular sentiment, but examining and challenging it. I had to do something while my daughter was in sewing class so I picked up "the Pact" at Barnes and Noble and between that and waiting at a kid's birthday party, I pretty much read half of the book by three 'young' black doctors from Newark New Jersey named Sampson Davis, Rameck Hunt, and George Jenkins about their lives, and the decisions they made which enabled them to be successful and beat the odds. 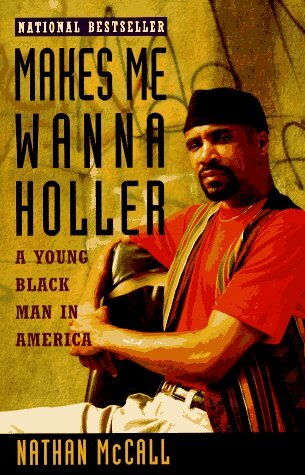 When I first picked up the book I was reminded of another I had read years ago, called "Makes me Wanna Holler" by Nathan McCall who would go on and become a journalist. Unlike that book however, this one was slightly more interesting throughout the entire thing. While it is mostly, linear, the fact that there are three different voices, who each had their own different hurdles throughout the phases that they all shared helps to make it interesting. From George being the initial person who directed the trio with his ambition and lack of the same home issues that both Sam and Rameck faced for the most part. One of the things you learn in the book, well, reinforce is that with a lack of role models, there are a lot of young black men who don't believe that they can do certain things because they aren't physically exposed to them. In the book, Sam talks about being in medical school and being unfamiliar with all of the tools while many of his class mates had family members who were doctors and at the very least exposed them or directed them to things that would be beneficial later on in life. While I agree, that once there is a decision made to go down a path, it certainly helps to have someone there to help direct, the idea that someone has to be standing there to say look you can do this still eludes my understanding. For me it shows that we as a people might be missing something in terms of imagination where we have trouble placing ourselves into any situation or life which we have not touched. I see it in the lack of black kids who are interested in fantasy novels, comic books, and video games outside of simulations. While these are not directly related, it does say something about how we view ourselves and what the world offers for us. Even in recreation and escape we aren't as forward reaching as others it seems and I don't know why. But back to the book, there is a lot to be learned by some guys who went through a lot to get to where they are and to show anyone who reads this that they can indeed overcome their surroundings if they really do want to get something better and more productive out of their lives. There is also a documentary on the trio so check that out as well. Please let me know what you think of these readings and the movie. As far as hip-hop goes, I do want to read Common's book and see what that is about because it seems his story is a lot deeper than you would imagine. The "Blueprint Decoded" was a somewhat interesting book, though for most kids who have grown up on Jay-z, we already know the meaning behind the words in his book. The real part is some of the explanation behind his life, especially early on, he is the first person to come out and admit he sold drugs so he could "be with his friends". That peer pressure is so strong at times to do the wrong thing and what irritates me in music is that it takes so long for these artists to change their message in the way they know will be productive. Just looking at Jay-z's open letter to his child, and it still amazes me how someone who has accomplished so much is just getting what people have been complaining about in his music for years. Another book which I thought had some decent stories was the DMX autobiography written while he was still on top. I would loe to read a book from him in five or six years after he hopefully becomes more wise and stops making the same stupid mistakes. I see these successful people who have these tragic backgrounds finally tell their stories and look at those who are taking them in and can only wonder why the messages aren't truly sinking in. Maybe it's because it is all seen as entertainment because the authors are entertainers and not realistic. Hopefully in the future, a book like this will reach more young people and become an inspiration. Don't Know dude but he speaks so well..
Young City aka Chopper gets shot..surprised?